May it be Business Meeting across the table, a family dinner or a get together. So the All over the world, relations develop, mostly, during a dinner-date, or across a coffee table. We present a range of amazing Fine Table Linen to lend your table a romantic, chic and trendy look. Rayon Linen Checks Print With Plain Matching. ronak silk mills new production of fabrics. Madhuram Fincap Private Limited(Simple Solution for complex connections). 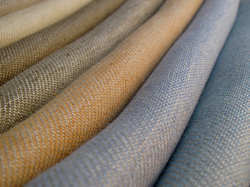 Owing to the immense experience in this domain, we are providing an excellent range of Linen Fabric. Our provided fabric is woven under the supervision of talented designers using superior grade thread and ultra-modern machinery at our production unit. with over 200 threads woven into every square inch, irish linen double damask is probably the worlds most exclusive table linen fabric. This modern satin band design is popular with embassies, palaces and top hotels. Fully machine washable. 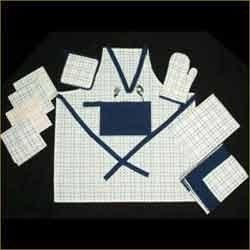 The Table Linens Fabric provided by us are priced economically and are available to clients in different sizes.